A welcome reception for Leslie Ito, the new president and CEO of the Japanese American Cultural and Community Center, will be held on Thursday, March 7, from 6 to 7:30 p.m. in the Garden Room of the JACCC, 244 S. San Pedro St. in Little Tokyo. “For her many friends and for those who may not have yet met Leslie, we invite you to please come and welcome her to her new position and let her know that you support her and the work that lies ahead for her and the board and the many friends of the JACCC,” said Bill Watanabe, interim CEO of JACCC. A former executive director of Visual Communications, the nation’s premier Asian American media arts organization, Ito has also assisted arts organizations through her work at the California Community Foundation, the Los Angeles County Arts Commission, and the Ford Foundation. She has served on the boards of Telic Arts Exchange, The Association of American Cultures, and Americans for the Arts, and the advisory committee for Emerging Arts Leaders/Los Angeles. 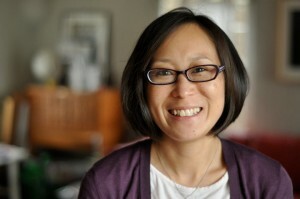 She received her master’s degree in Asian American studies from UCLA and a bachelor’s in American studies from Mount Holyoke College.